Following on from his award-winning book on the history of ancient Persia, Kaveh Farrokh goes on to examine Iran's wartime history from the Safavid dynasty of the 16th and 17th century through to the 1979 Revolution and beyond. 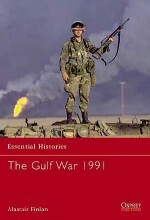 He shows how the early military successes were followed by centuries of defeat as the external influences of nations like Russia and Britain began to shape the internal history of Iran, before unraveling the complex, violent 20th century military history of the country, which encompasses two world wars, regional movements, foreign intervention, anti-government revolts, conflicts on the Soviet border, a revolution and an eight-year war with Iraq. 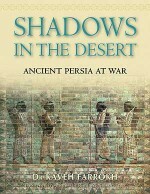 Illustrated with contemporary illustrations and photographs this book provides an unparalleled investigation into the bloody martial history of Iran. Dr Kaveh Farrokh was born in Athens, Greece, in 1962 and emigrated to Canada in 1983. Kaveh has collected data and primary sources on Sassanian cavalry for 18 years resulting in travels to locations such as Naghshe-Rustam (Iran). He has given lectures and seminars at the University of British Columbia and the Knowledge Network Television Program of British Columbia and has written articles for various journals. Kaveh obtained his PhD in 2001 from the University of British Columbia where he specialized in the acquisition of Persian languages. He is currently a learning and career specialist in Langara College in Vancouver, British Columbia. He acted as a historical advisor on the film Cyrus the Great, and has appeared in a History Channel documentary as an expert on the Persian Empire.